Team Tronics is hosting the meet up of the year in New York City. The location is at Sir Henri Rooftop Penthouse in New York. Event time will be from 4:00 PM till 7:00 PM and you can enjoy unlimited drinks at the mid-shelf open bar with salad and Greek sliders to eat. Meet members of our team along with staff from the Tron Foundation. Tickets must be purchased before the event, no ticket sales during the event. Due to guest limitations, the venue can only accommodate a limited number of people, reserve now! 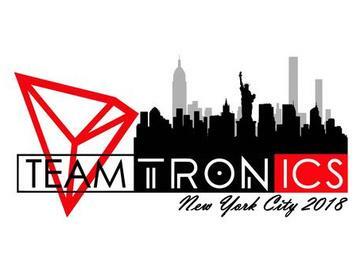 Each guest will also receive a limited-edition Team Tronics New York City 2018 t-shirt with the logo seen below. Must order by October 15th to secure your free t-shirt. Plan on staying the night? Check out Hotel Henri or surrounding hotels for easy access to the event. In the extreme instance that the event is canceled, you will be refunded your original ticket price. No age restrictions. Must be 21+ to consume alchohol.